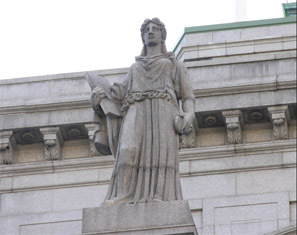 The grand edifice housing the New York County Supreme Court in Manhattan was designed by Guy Lowell, Architect. He chose Frederick Warren Allen to create the sculptural elements to adorn the entrance to the building. Above the triangular pediment stand three acroteria, statues in-the-round on pedestals. Each is at least thirteen feet high. 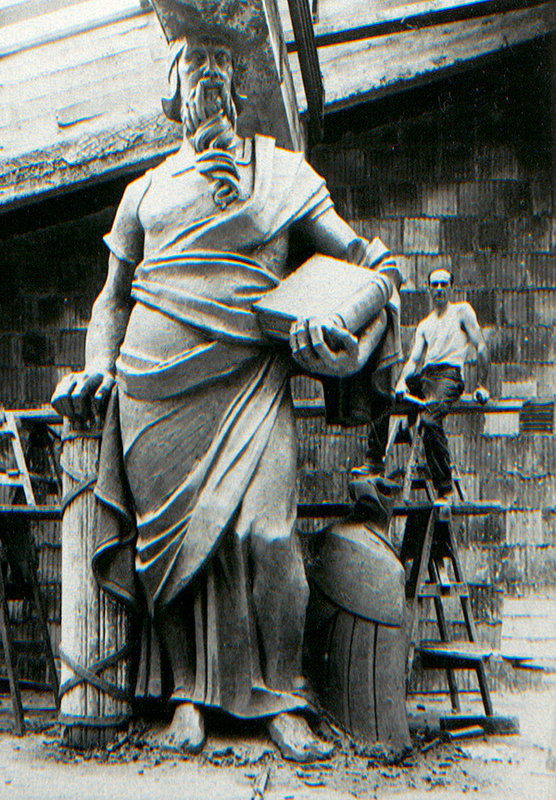 The central figure at the apex is Moses, representing Law. He rests one hand on a bundle of faci or lictore sticks and holds a book in the other, both legal symbols. To his right in the image is an American Eagle, our national symbol. Equity stands on the Southern end of the Pediment. On either end of the pediment are two female figures, also of heroic size. The figure on the Northern end represents the spirit of Truth. She holds a hand mirror, a symbol of the reflection of man’s true knowledge of himself. Equity is on the Southern end. 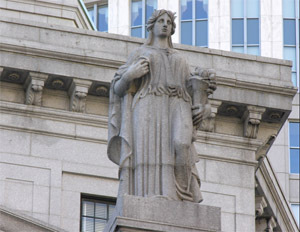 She holds a horn of plenty filled with fruit, representing fair distribution of goods. All three statues are carved in the same Stonington granite as the courthouse. The work on the statues and the pediment below them took three years total to complete from original sketches to final carving. Below is an image of one the original full size statues in clay. 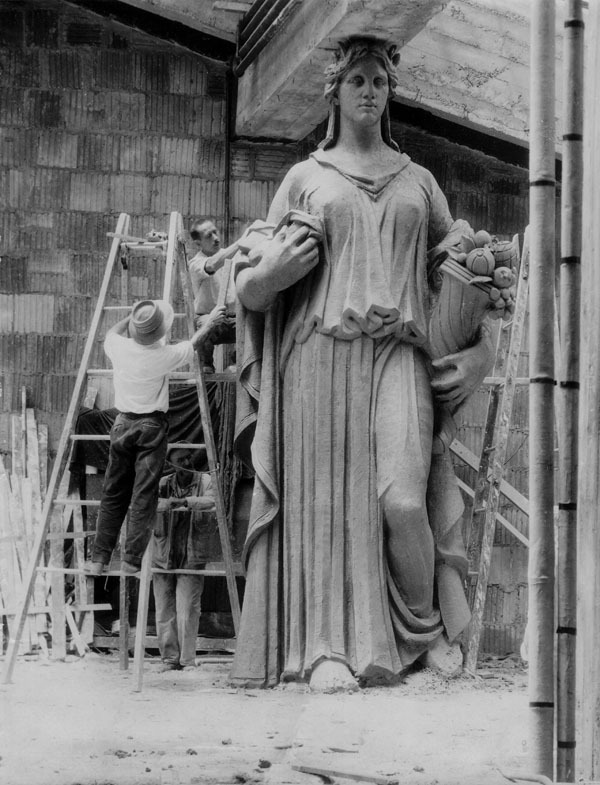 A full account of the work will be included in the future book about the life and work of this master sculptor.